Monarch Arredon Contemporary hosts all types of events and meetings. From corporate functions and networking events, to birthdays and receptions. Our unique setting of curated artwork and exceptional services will make a lasting impression with your guests. At Monarch | Arredon Contemporary, we endeavor to meet and exceed your every expectation for planning and executing the perfect event. 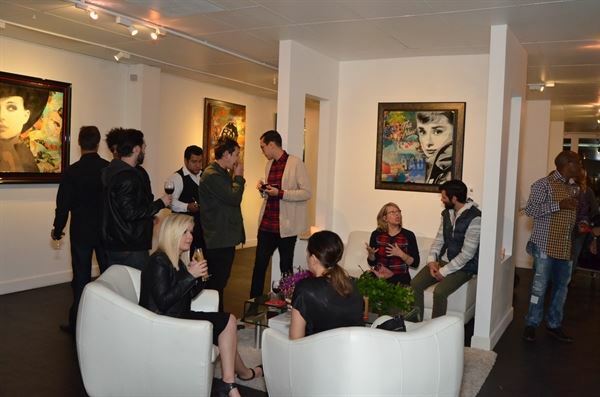 The Gallery is perfectly located in the beautiful downtown Village of La Jolla, walking distance to beaches, museums, restaurants and shopping. Main Gallery: $1500 Rental Fee (24W x 67.5L) plus $250 Cleaning Services. Includes personal planner, gallery staff the day of event, front courtyard, guest bathroom and use of back-space setup. Plus Gallery gift certificates provided to all guests. Contact us to get sample menus for your event!